Returning safe from the journey overseas. The Song describes the maritime trade of the Indus region but it also speaks of its tender side- the anxiety of the seafaring men who left for long journeys and the women who waited home for them. It was written thousands of years after the death of Indus Civilization and yet its verse strikes like a long lost sailor’s message in a bottle washed ashore and discovered in the ruins of an ancient Indus port town. In the nineteenth century Britain realized Indus’ value as the shortest possible route to reach the Central Asian markets and compete with the Russian trade. Later it was utilized as the main supply route for British ammunition and army in the first Anglo-Afghan war (1938-1942). After its defeat, Britain felt the need to conquer the Indus region. Sindh was already nicknamed ‘the Young Egypt.’ The river, its valley, the climate reminded the British officials of the Nile and its environs, Sindh had a desert too. Some of its inhabitants had Semitic features and some looked like the Egyptians and there were some blacks of African origins. Above all there were riches and they may have found these at par with Muhammad Ali Pasha’s Egypt. Sindh’s neighbor Punjab, with five tributaries of Indus and an eccentric Maharaja possessing Koh-i-Noor diamond, was even richer. Considering the usefulness of their river, their richness and their strategic location near Afghanistan, it was natural for Indus land-Sindh and Punjab along with the little kingdom of Bahawalpur to fall victim to Britain’s colonial design and soon they were conquered. Annexation of Indus’ kingdoms to Britain’s Indian Empire changed the age-old look of the region. With British law and education, clubs and cricket, roads and railways, buildings and gardens, prisons and zoo the cities were modernized. Changes came to the rural areas also and some of these were huge like the network of irrigation canals that bought immense water and changed the landscape. In 1899 the Governor of Bombay, William Baron Sandhurst, had inaugurated Jamrao, one of the famous irrigation canals in Sindh. Jamrao was the main artery to sustain agriculture through a network of its distributaries that brought water to a large part of barren lands of lower Sindh. One of these was dug from the little town of Jhalori, it ran parallel to our lands, and continued for many more miles westward. We call it Shaakh, literally branch; the Shaakh has bridges every five miles. The first bridge is located right across from our village. The second bridge or the ten-mile bridge, as the people call it, intersects the road that leads on one side to the town of Jamesabad (now Kot Ghulam Mohammad Bhurgri) and on other to Mirpurkhas, the fifth largest city of Sindh. Running parallel with the Shaakh is the patri, the dirt road that completes its tenth mile from Jhalori to this intersection. The tract of land covered with a network of shaakhs and patris crisscrossing each other in lower Sindh is called the Barrage Land in contrast to the barren land of the lower Sindh. In 1932, the largest barrage in Asia – the Sukkur Barrage – was constructed over Indus to harness its water for irrigation. The project was a blessing. ‘It had changed Sindh from a desert to a fertile land,’ bragged British officials. In the long run, however, it caused imbalance in the natural setting and has rendered a large area waterlogged. The water table under the site of Moen jo Daro has been rising too due to the increased paddy cultivation around the site which requires standing water and which came in enormous supply after the construction of the Barrage. According to one estimate, two thirds of the ancient city is submerged and further excavations are not possible due to waterlogging. The Pakistan Department of Archaeology had therefore prepared a Master Plan suggesting means of lowering the rising water table and conserving the exposed structures. 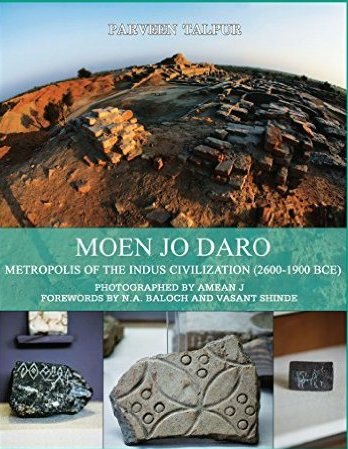 In 1973 the Master Plan was presented to UNESCO and hence a worldwide campaign called ‘Save Moen jo Daro,’ was launched. Recently the Master Plan has been updated and the work continues. Indus, undoubtedly, the water resource of the ancient civilization and modern Pakistan is now showing signs of exhaustion; the distribution of its water had been a source of trouble between India and Pakistan and its redistribution is a sensitive issue between the federal and provincial politics of Pakistan. Wonderful historical cruise down the Indus.